The more than 20-year-old tradition is set to kick off at 10 a.m. this Saturday, April 11 at Cherry Hill Park and will be the first year since 2007 without veteran hopper 15-year-old Dimitri Venets, now a freshman at George Mason High, who will be stepping down as the furry character. The volunteer position is usually served by a member of the city’s Teen Council, and Venets has since moved on from the organization as a highschooler. “Dimitri was a wonderful Easter Bunny and he was such a hit with the kids, we had him do it twice. The only advice I have for Josh is to make sure he’s got someone to lead him around. That suit can be pretty hard to see out of,” said F.C. Recreation Department Special Events Supervisor Jenny Elmore. Rented annually from Economy Party Supplies, located on W. Broad Street in Falls Church, Elmore said different suits each year have looked fairly similar, though 2009 is the dawn of a new day. “We’re going to pick up the suit on Friday and I’ve heard it’s brand new, so it may look slightly different than years past,” said Elmore. Elmore has been overseeing the hunt, which brings out anywhere between 800 and 1,000 kids each year, since 2006 as part of her duties working for F.C.’s Recreation and Parks Division. One notable city figure she recalled being behind the costume was Falls Church’s very own Megan Schlitt, wife of Deputy Director of Recreation and Parks Daniel Schlitt, who played the bunny herself in 2000 when the division was left without an alternative at the last minute. 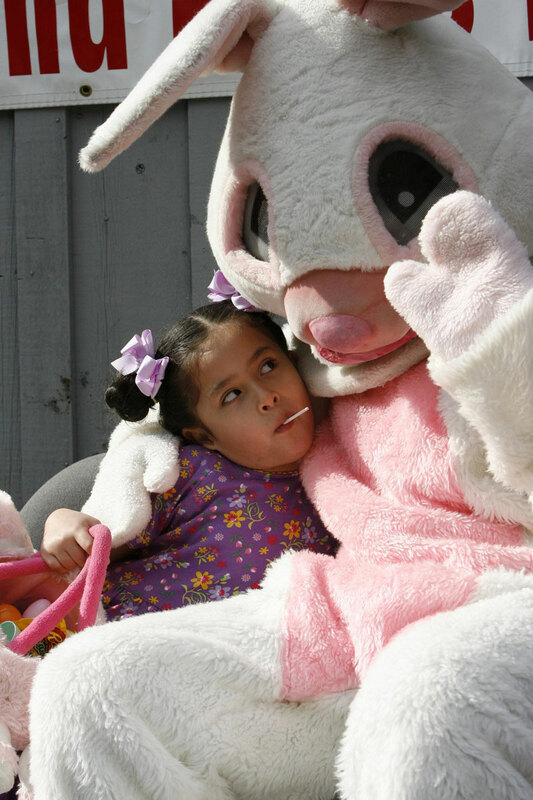 Gross, who just relocated to the U.S. from his previous home in Nicaragua, has an 8-year-old brother and 10-year-old sister remaining in the South American country who still actually believe in Easter Bunny he said. “They don’t know that I’m playing the bunny, so I guess I can’t tell any of my cousins either,” joked Gross. He’s scheduled to spend the two-hour duration of the hunt in the suit, though Elmore confirmed that a bunny with a full bladder has surprisingly never been an encountered ordeal. “You know, we’ve never actually had that issue come up,” said Elmore, laughing. The role has always been popular for the teens to play and is usually filled on a first-come, first-served basis. 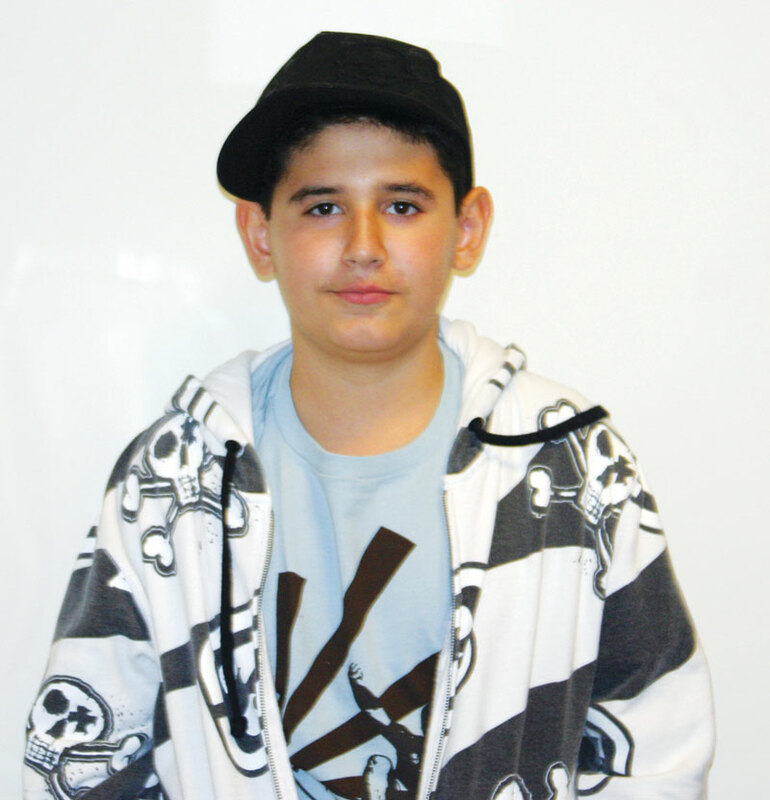 When Gross inquired, Teen Council Coordinator Amy Maltese told him he was free the wear the ears and puffy tail in 2009. “I’m excited; it’s fun trying new things,” said Gross. Nearly 3,000 plastic eggs are packed with sweet treats each year and planted in and around Cherry Hill Park. Insiders hinted to the News-Press that natural holes inside the park’s trees should not be overlooked. However, it’s not just eggs kiddies should be eyeing. Loose candy, along with prizes ranging from bouncy balls to Easter tattoos, will be up for grabs as well. “Some people think it’s a come-and-go event, but I tell folks to come early to get the good stuff because every year at 10 a.m., when we shout ‘1-2-3, go!’ the kids are ready to dive bomb on that candy,” said Elmore, who’s staff will have extra eggs on hand to hide periodically throughout the hunt if treasures start to thin out. Elmore estimated this year’s turnout will be bigger than ever, given that the free event, including complimentary photos taken with the Easter Bunny, is during a bad economic time when households may not be able to afford lavish baskets for their children. A rain date is set for Monday, April 13 at 4 p.m., though the city hasn’t had to use the back-up time since 2007 when the hunt was snowed out. As of Wednesday, according to the Weather.com Web site, the forecast is a 40-percent chance of rain. Those attending this year’s hunt are reminded to bring their own basket and wear comfortable shoes in order to beat the competition to the sugar-packed punch.